The latest is the lovely wartime brown-striated Sheaffer Crest Vac-Fill with gold-filled cap (between the Triumph on the left and the Valiant on the right). 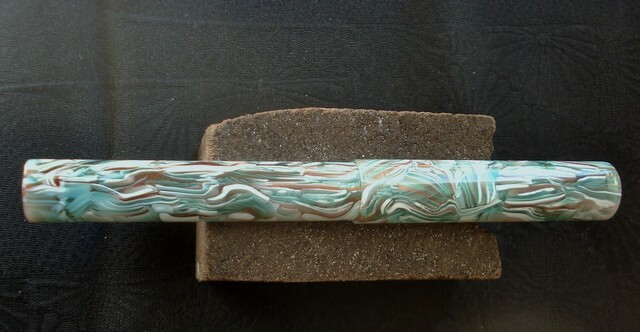 I've been making a foray into Sheaffer plunger pens with Triumph-style nibs from the '40s. Its first fill is Omas Sepia ink. Last edited by FredRydr; March 25th, 2019 at 02:16 PM. Very nice! I like their shape and colors. I thought the package must have gotten lost on the way here from the Ukraine, but it finally made it. 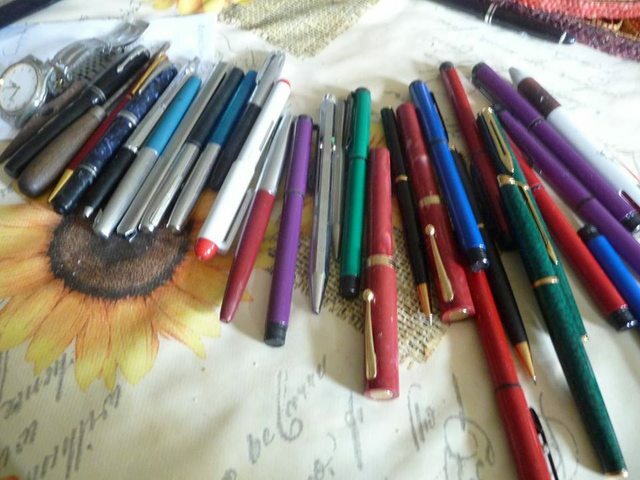 I found this when looking for pictures of rocketship pens to post on the "Theoretical Situation" thread. Found it in an image search, then when trying to see if one were actually available, I found a finished auction listing where one of these went for about $200. And then... I found one for a $24 Buy It Now price on eBay. Couldn't refrain from ordering it. It's from 1959, and was released to celebrate the Soviets landing the first unmanned spaceship on the moon. (SPOILER: The U.S. went on to put the first man on the moon 10 years later). 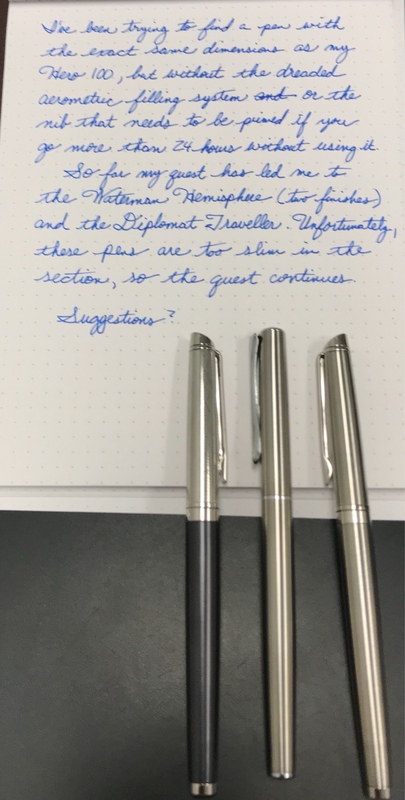 And, oh yeah, it writes beautifully and has a semi-flex nib. Last edited by calamus; April 20th, 2019 at 07:52 PM. Thank you. Who'd a thunk Sum Gai had moved to the Ukraine? A very nice haul from the big vide-greniers at Autheuil-Authouillet in Normandy. Two Waterman Hemisphere rollerballs (green marbled) and a mechanical pencil (matte black), a Parker Insignia ballpoint, two lovely pink Sheaffer No Nonsense, an Edacoto in black celluloid, a blue marbled Stylomine 303 with the glass pushbutton and accordion sac, loads of Waterman Pro Graduates in mint condition, a Parker 45 which seems to be that elusive (to me, anyways) Rage red. And stuff. Nicest surprise? 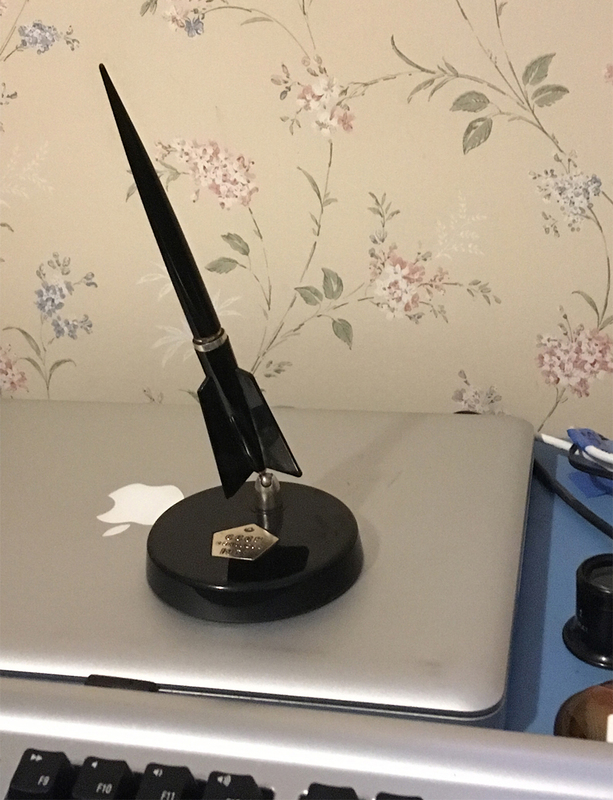 A cheap but gorgeous ballpoint, the Ballograf Epoca, in black and chrome. I need to get a nicer refill for it though.